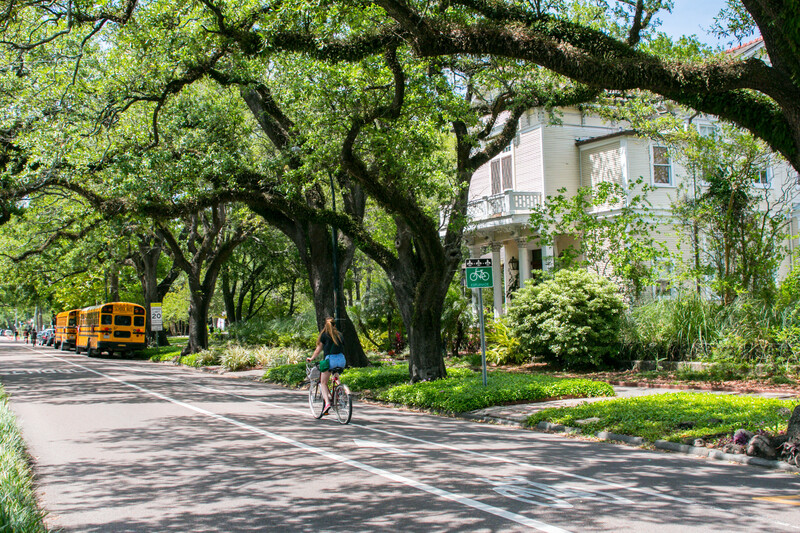 Our guide to biking in New Orleans: bike shops, tours, sample routes, and more. Bike Easy, a volunteer-driven organization, both educates and advocates to make bicycling an integral part of New Orleans. It offers group rides, special events, and workshops for both biking newbies and advanced cyclists. 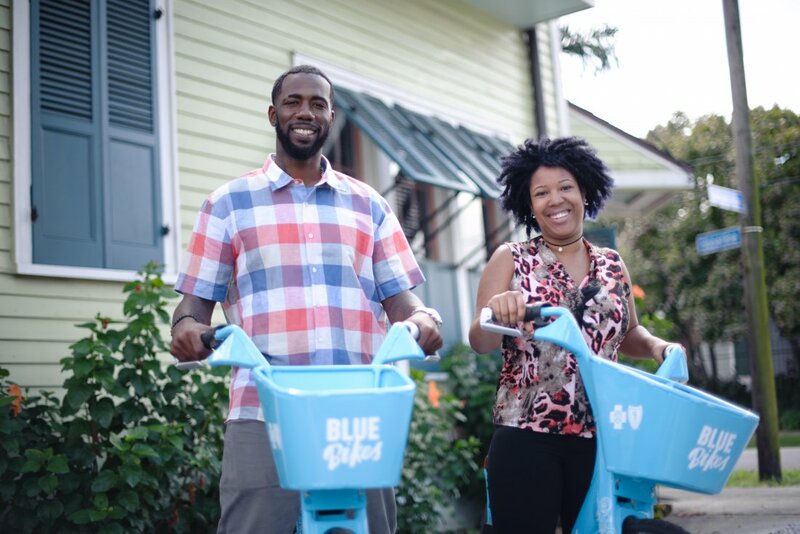 If you’re visiting New Orleans and are eager to explore the city by bike, Blue Bikes is an easy way to grab some wheels for a short time. Easily recognizable by their blue color, Blue Bike stations are located across the city, from the Bywater to Mid-City to the Irish Channel. Before hopping on, you will need to create an account and key in your pin on the bike’s keypad. If you’re planning on going for a longer ride or biking outside the designated Blue Bike area, you may want to grab a rental. 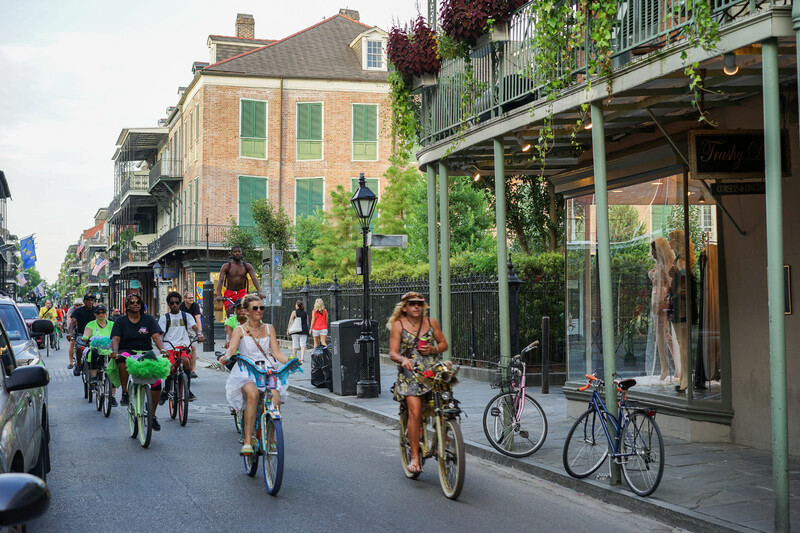 Check out our top five bike rental shops in New Orleans. Want to settle into a new ride or a new seat for that matter? 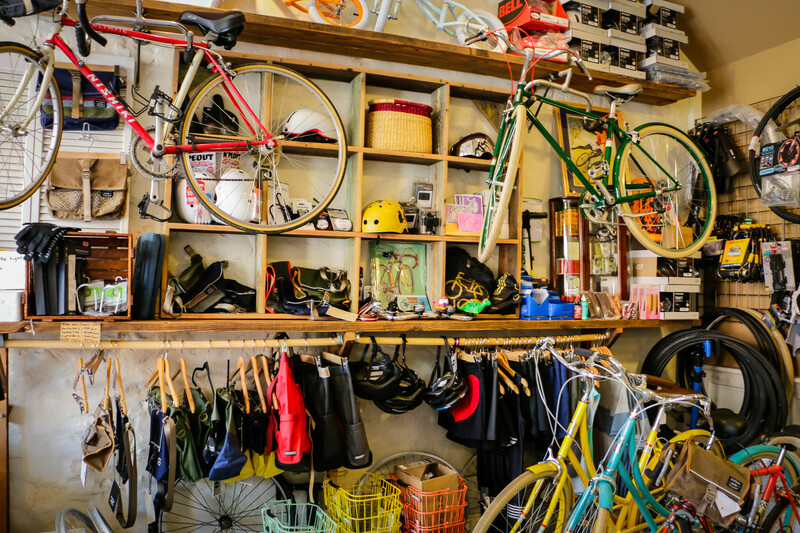 Check out some of our favorite shops that will you get started: Dashing Bicycles & Accessories on N. Broad Street sells bicycles, accessories, and apparel specifically designed for women of all ages. 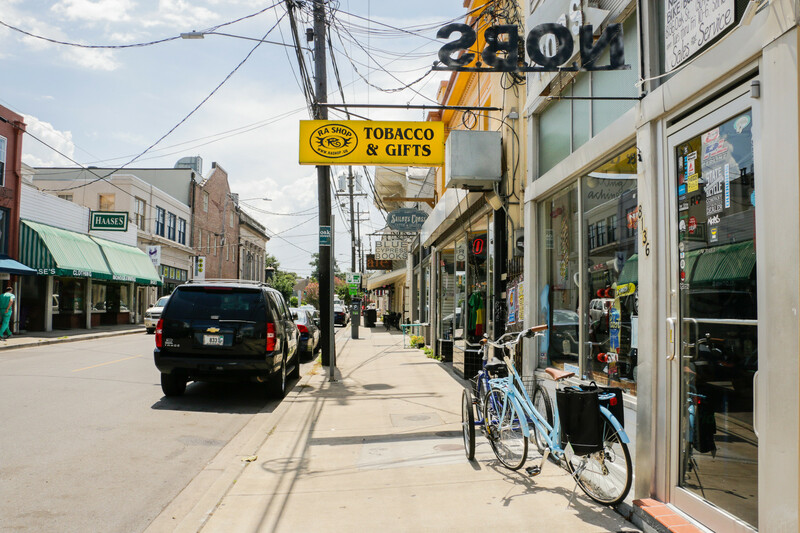 Opened in 2008, Gerken’s Bike Shop on St. Claude Avenue is a full-service shop which is also run by everyday cyclists. For those of you in the Uptown neighborhood, The Bike Shop on Freret Street is a great place to find new and used bikes, or to trade in your old ride. Perhaps a broken bike is slowing you down. If you’re less of a DIY-er, there are plenty of bicycle repair shops around town to get you tuned up no matter where your ride takes you. Mike the Bike Guy on Magazine Street offers same-day maintenance. If you want to support a great cause, check out Bike Works, a full-service bike shop that teaches high school students how to assess and repair bikes. 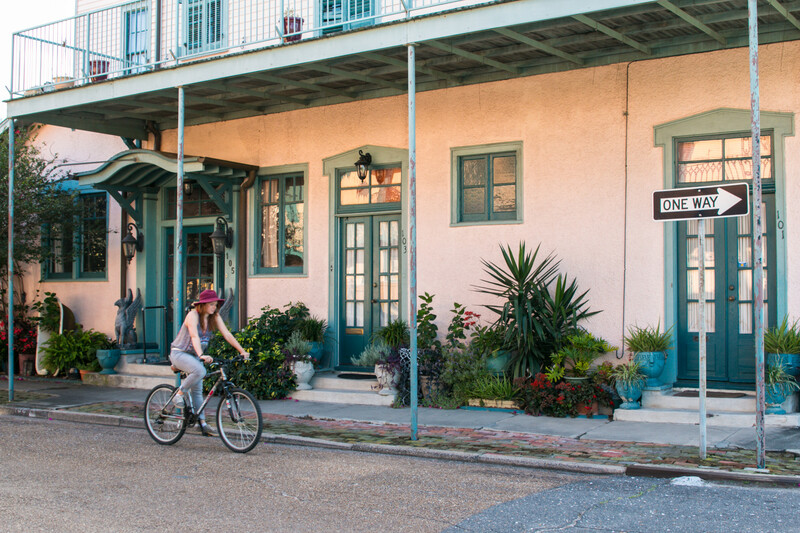 Whether you are a native New Orleanian or a visitor, be sure to take advantage of all the bike-friendly activities this city has to offer. 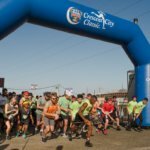 For those who love a little competition, the New Orleans Bicycle Club hosts its Annual Tour de Louisiane in June in Covington, La. If group exercise is your thing, the Semi-Tough Cycling group kicks it into high gear with their 12-mile Saturday Club Rides and Tuesday Night Loops around the New Orleans Museum of Art. 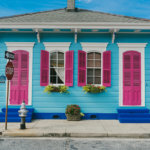 One of the most historical and celebrated parts of our city is the French Quarter. It also happens to be a great neighborhood to explore by bike. Start your day by renting a bike at neighborhood shops including: The American Bicycle Rental Company, Ride This Bike, or Bicycle Michael’s. You can rent one for a few hours to a week if you’ve got the time, and most of them include a helmet and a lock for safety. 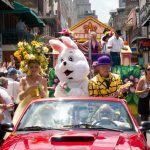 Get out on your own or join a bike tour like Big Easy Bike Tours or FreeWheelin’ Bike Tours where you can enjoy a leisurely tour of our fair city. And if you have a love for the land and water, New Orleans’ Confederacy of Cruisers, will take you on their Pedals to Paddles tour of Esplanade and Bayou St. John via bikes and kayaks. Cross Over to Algiers — Beginning from the Riverwalk at the foot of Canal Street, catch the ferry across the Mississippi River to Algiers Point. Jump on the Mississippi River Trail that takes you along the water’s edge and right under the magnificent twin span. Loop back around onto Franklin Avenue to Verret Street and end your ride with a delicious croissant and coffee from Tout de Suite Cafe. Cruise Magazine — Got some shopping to do? 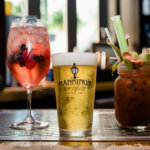 Make your way Uptown from the French Quarter onto Magazine Street. It will be hard not to stop along this route (so many local boutiques! ), but push on a little further to Washington Avenue. Turn on Washington Avenue toward Prytania Street, and you’ll run into Lafayette Cemetery and other historical architecture in the Garden District. 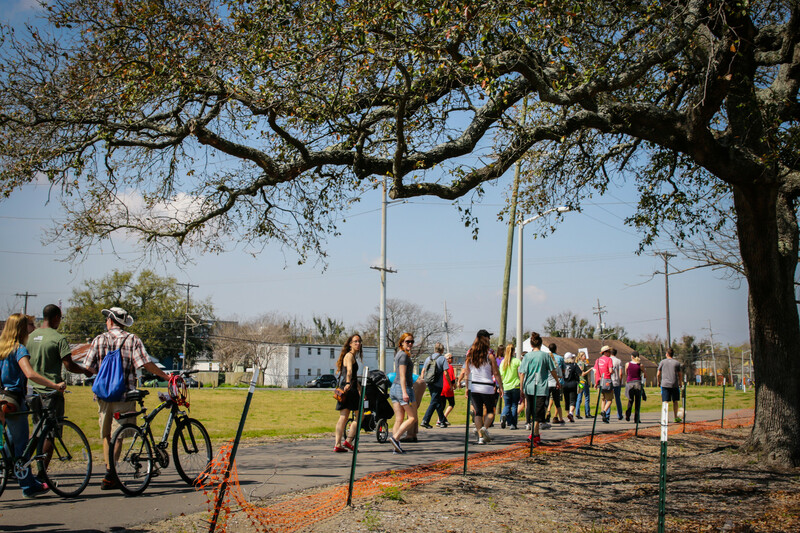 Get on the Greenway — The Lafitte Greenway features 2.6 miles of trail through the city and 35 distinct “Bicycle Wayfinding Signs” that point riders in the right direction. Hop on right near Louis Armstrong Park and follow along with this map for all the historic stopping points along the way. 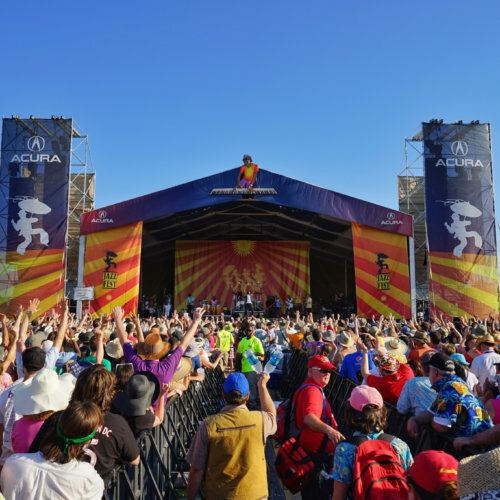 Now get out there and laissez les bons temps rouler – let the good times roll! Liz Beeson is an adventure-seeking marketing manager in New Orleans who loves the great outdoors and a good cup of coffee. When not plugging away at one of her many side projects, Liz can be found taking in a comedy show and exploring and photographing the many unique neighborhoods in the city.